The late 1950s and early '60s were the golden age of science fiction, an era when the farthest reaches of imagination were fed by the technological breakthroughs of the postwar years. While science fiction writers expressed the dreams and nightmares of the era in pulp print, real-life rocket engineers worked on making space travel reality. The imaginations of many Cold War scientists were fed by science fiction literature, and companies often promoted their future capabilities with fantastical, colorful visions aimed at luring young engineers into their booming workforce. In between the dry articles of trade journals, a new visual vernacular sprang up. 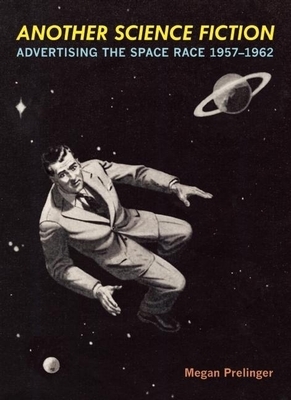 Aerospace industry ads pitched the idea that we lived in a moment where anything was possible gravity was history, and soon so would be the confines of our solar system. Another Science Fiction presents nearly 200 entertaining, intriguing, inspiring, and mind-boggling pieces of space-age eye candy.